John Riggins is a testament to the fact that hard work and perseverance pays off. As a somewhat unlikely candidate for Super Bowl MVP, Riggins shocked much of the football world with his dominating performance in Super Bowl XVII. 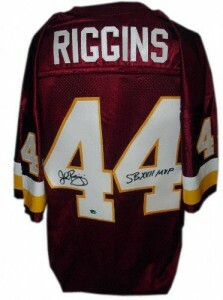 As a result, John Riggins cards and autographed memorabilia became highly collectible. This is especially true for fans and collectors of the Washington Redskins, with whom he accomplished the feat. Riggins was drafted in the first round of the 1972 NFL Draft with the sixth overall pick out of the University of Kansas. The New York Jets had high hopes for Riggins and he didn't disappoint. He led the team in rushing and receiving his rookie year. He wasn't the biggest or fastest running back but his work ethic and determination were an inspiration to fans, collectors and even his teammates. 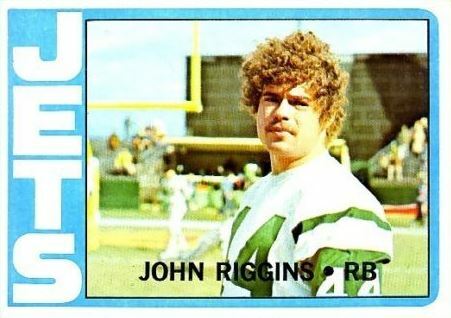 John Riggins' rookie card is from the 1972 Topps Football set. He also has an In Action subset card. His first certified autograph card is from the 1991 Pro Line Portraits set. The card is not serial numbered and the exact number printed is not known. Riggins' first game-used memorabilia card can be found in the 2001 Upper Deck Rookie F/X Heroes of Football insert set. The card contains a swatch of a game-worn Redskins jersey. 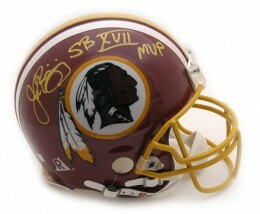 John Riggins' autographed memorabilia is well respected by collectors. After retirement, he took up a career in acting and commentating. Staying in the public spotlight has earned him additional admirers and collectors through the years. He can be a tough signature to get as he only occasionally participates in organized signing events. In-person experiences are said to be a little bit hit or miss depending on his mood, the venue and specifics of the situation. The 1972 Topps Football set is prone to condition issues that include poor centering and rough edges. Despite this fact, professionally graded copies of Riggins' rookie cards getting a high grade receive only a slight premium. 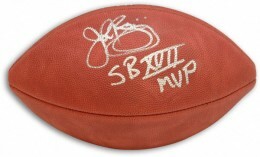 Below you will find examples of what an authentic John Riggins autograph looks like. This can be used as a first point of reference for determining the legitimacy of autograph memorabilia, but is not a substitute for having your items authenticated by a well-respected professional autograph authentication company. Some of the trusted sources within the sports memorabilia market include the following companies: PSA, JSA, Steiner, Tristar and Mounted Memories. Click on any of the images below to view full size photos. 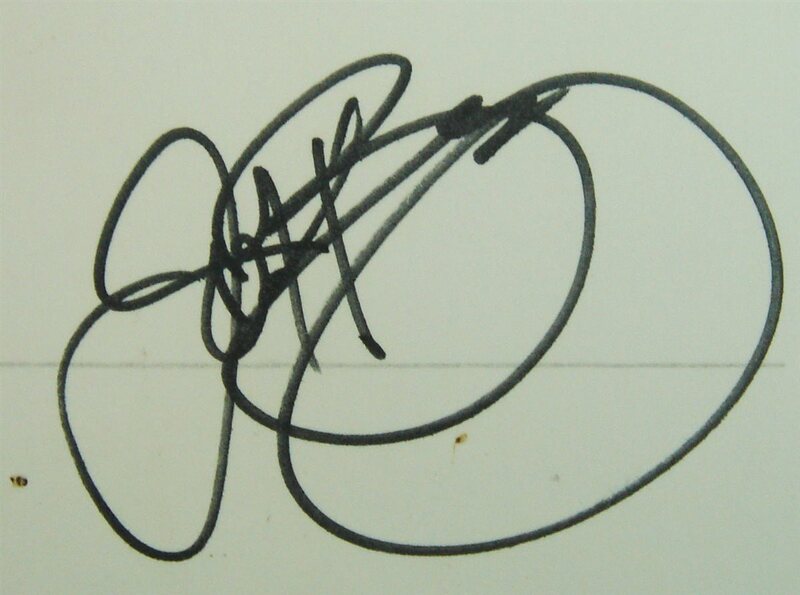 It is a very large, hastily written and hard to decipher signature. The letter "J" is the most legible. It is formed with two opposing guitar pick shaped loops. The top one being smaller than the bottom. The presence of two large overlapping circular loops are the bottom of the letter "g"s is Riggins. Got a John Riggins card. Cannot find on any site. Does that mean it is worthless?